Despite being developed shortly after the Civil War, the 12 gauge remains the most popular shotgun in the United States and is one of the most effective, short range firearms in the world. 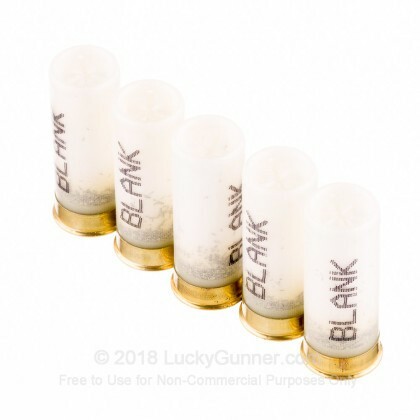 With extensive law enforcement, military, hunting, self defense, and sport shooting use, the 12 gauge has proven itself in many different situations. Founded in 1876, Fiocchi is the oldest ammunition manufacturer in Italy. Still owned and operated by the founding family, Fiocchi puts their heart and soul into every process of making their products. 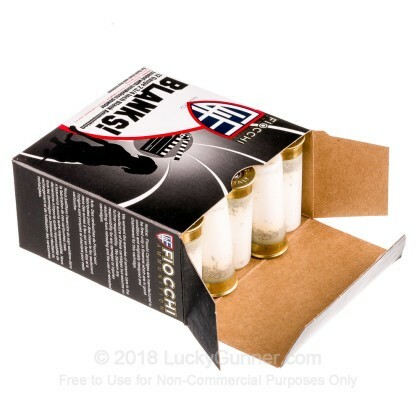 Fiocchi's shotshells are loaded in their USA facility located in Ozark, Missouri. 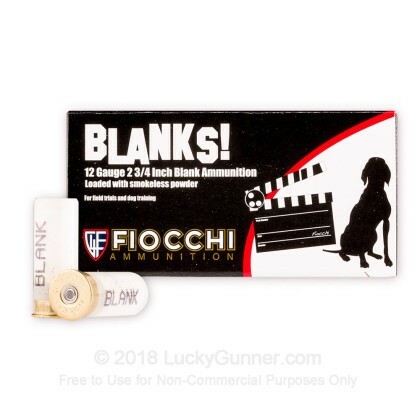 These 2 3/4", 12 gauge blanks from Fiocchi exhibit the high quality manufacturing you expect from such a company and give you exactly the performance you are looking for. 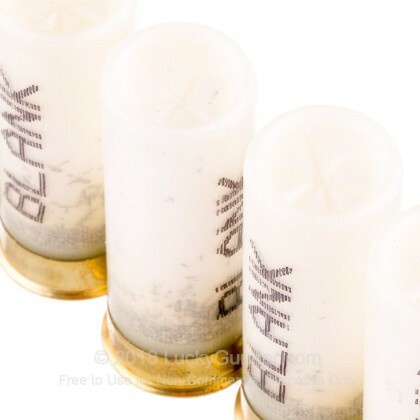 These shells are great for training purposes, pick up this 250 round case today! 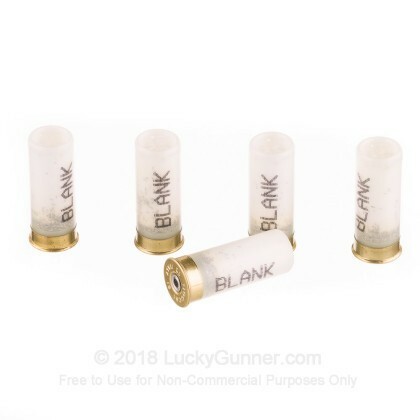 Although intended for less-than-lethal force, this ammo could still cause serious injury or death under certain circumstances, like use in close proximity to your target. 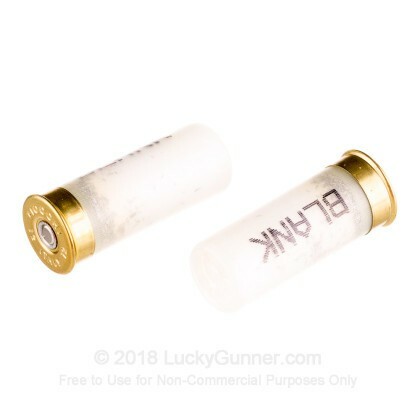 Be sure to handle a firearm loaded with this ammo the same way you would any other. 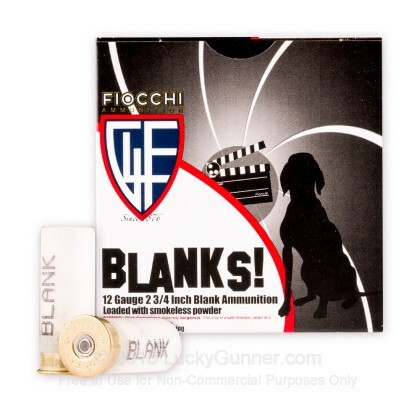 We also have this 12 Gauge - 2-3/4" Blanks - Fiocchi - 25 Rounds ammo in stock in a smaller quantity.